Is Tesla Model 3 The “New Prius” For Green Signaling? With sales of hybrids slowing in the US and declining in the bellwether state of California, the king of green signaling vehicles is shifting to the Tesla Model 3 from the Toyota Prius hybrid. 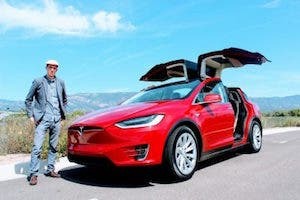 In my CleanTechnica article from May 2017, “’Conspicuous Conservation’ — Why Distinctive Electric Vehicles Are Critical To Attracting Early Adopter Buyers,” I shared research and my view that green signaling — also known as “conspicuous conservation” — is a key component in the early adoption of electric vehicles. I took a lot of heat in the comments on that article, but I stand by the idea that — especially in trend-conscious California — showing the world that you are green and care about the planet plays a key role in determining which car and EV you choose to buy or lease. Their research revealed that the Prius disproportionately outsold other similar hybrid models such as the Honda Civic hybrid in markets and cities where residents placed a high value on being environmentally conscious. 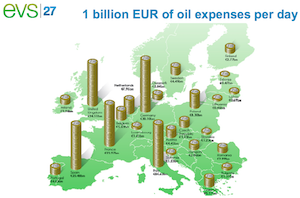 What About the Nissan LEAF & Chevrolet Bolt? From 2011 through perhaps 2016, the electric Nissan LEAF became the next vehicle to signal to neighbors that you were green (if you weren’t in the more exclusive/pricey Tesla Model S or Model X class). With the LEAF’s quirky and perhaps polarizing design and battery electric drivetrain, the LEAF’s zero-emissions status supplanted the Prius as the ultimate green vehicle of choice. ¤ Sales are currently limited due to apparent supply constraints. ¤ It is a Chevrolet. As I wrote in “12 Factors That Will Limit Chevy Bolt Sales In The US (Part 2),” the Chevrolet brand is a starter brand. In the 2017 Consumer Reports ranking of auto brands, Chevrolet came in at 17 and Tesla at number 8. ¤ It isn’t distinctive. While the Bolt is actually OK looking in the eyes of most, it also doesn’t stand out. The Bolt looks pretty normal and at this stage of the EV market, that can be a problem for consumers wanting to signal their greenness. Will the Tesla Model 3 Capture the “Conspicuous Conservation” Throne? With hybrids like the Prius becoming “meh” and the LEAF, despite its slightly updated design and longer battery range, losing some of its luster, the Tesla Model 3 is becoming the new king of green signaling. 1. 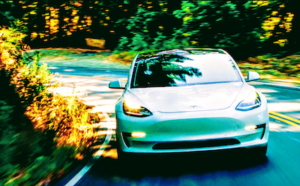 It Represents the Very Definition of “Conspicuous Conservation.” If you drive a Model 3, you are in essence telling people that not only do you care about the planet, but that you have “made it.” With a green, luxury, performance, and high-tech car, Model 3 owners are not viewed as hippies or eco-warriors but successful people who also care about the planet. 2. “Relative Affordability.” Though the $35,000 configuration of the Model 3 is perhaps at least 6–12 months away, the roughly $50,000–55,000 cost of the long-range version is well within the typical price range of small luxury sedans. 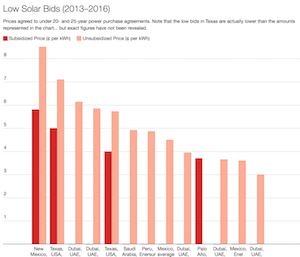 So, while it is much more costly than the Bolt and LEAF, for example, many times more people can afford one over a base Tesla Model S or Model X (which start at roughly $75,000–80,000). 3. Scarcity and Exclusivity. How many cars do you have to put a deposit down and then wait 2–3 years to be able to actually buy and take delivery? While that process and timeframe is clearly a negative for someone wanting their car right away, the scarcity and exclusivity also adds to the distinction of owning a Model 3. Driving a Model 3 conveys that you are an early adopter and are in an exclusive club of car buyers. 4. Model 3 Buzz. Quite simply, the Tesla Model 3 is one of the most talked and written about cars in the last few years. 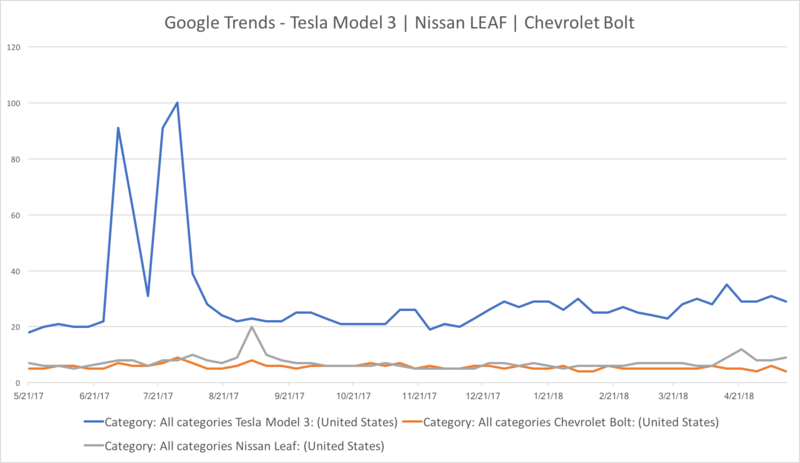 In the EV space, the buzz around the Model 3 easily outpaces models like the Nissan LEAF and Chevy Bolt, as the Google Trends data below conveys. And while you might accurately point out that much of the buzz around the Model 3 is negative because of production delays or questions around quality (the infamous “panel gaps”), the fact remains that awareness of the Model 3 is clearly very high. 5. Tesla Brand Attractiveness. Tesla is one of the most desired and aspirational brands today, despite the company’s tendency to be late on promises and model deliveries, concerns around quality, executive churn, lack of profitability, and whatever other negatives one can cite. In fact, Tesla is a top ranked brand across dozens of brand studies and rankings, and in Millward Brown’s “Most Valuable US Brands” ranking, Tesla is ranked at #72. Ford is the only other US auto brand on the list, coming in at #52. Globally, Tesla comes in at #98, behind many automotive brands in the Interbrand’s “Most Valuable Global Brands” ranking, but cracking the top 100 of the most valuable global brands is still an amazing accomplishment for a relatively young company. 6. Techie/Futuristic Image. With Tesla being based in Silicon Valley, its focus on software, its unique Superchargers, and features like its futuristic iPad-like center display screen, owners of the Model 3 have a sense that they are driving what is in essence the future of cars. 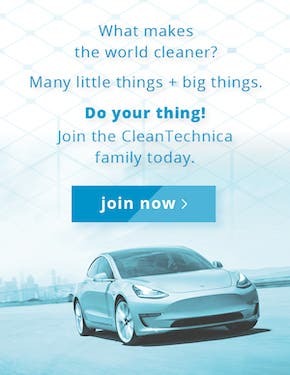 Driving a Model 3 signals “tech savvy” in addition to caring about the environment. 7. Performance, Range, and Looks. One of the bonuses of the Tesla is that not only is it a zero-emissions vehicle, but it handles well, is quick, has great battery range (310 miles on the long-range version), and is generally viewed as an attractive looking car. 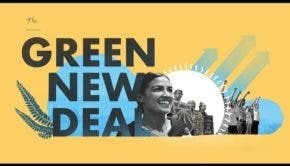 This sets it apart from the likes of the Prius, LEAF, and Bolt in that you can have all of those attributes AND convey your greenness at the same time. 8. Supercharger and Destination Charger Access. Finally, you cannot overlook the benefit and exclusivity of the Tesla Superchargers and Destination Chargers. Driving a Tesla means that you have access to your own private charging network. And many of the nicest resorts and wineries, for example, have Tesla Destination Chargers offering convenient charging and parking. While this may sound elitist, it is a bit like having a membership to an airline club where you can get away from the crowds to get some work done and relax in a private setting. People like to have access to such exclusivity. This just adds to the attractiveness of the Tesla and Model 3 brands. Drivers of the Toyota Prius and Nissan LEAF were often viewed not only as being green, but practical and not showy. Those options still exist for EV drivers with models like the Bolt, Honda Clarity, Hyundai IONIQ, and updated LEAF. 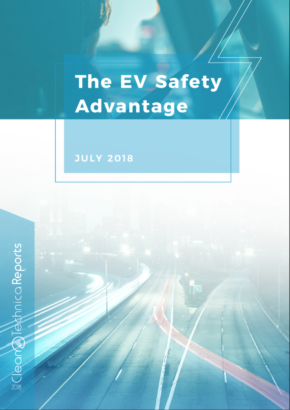 For the next 5–7 years, however, the core supply of electric vehicles will be in the luxury category and the early adopting buyers will primarily be those of upper incomes. Of the roughly 70 electric vehicles that automakers have announced or are rumored to arrive in the US by 2022, my analysis suggests that about 80% will either be from luxury brands and/or priced above $40,000. For these early adopting, environmentally concerned, and upper income consumers, the Tesla Model 3 is the ultimate vehicle for displaying conspicuous conservation. Especially for consumers living on the more trend-conscious east and west coasts of the US, the Tesla Model 3 is the new Prius.